Here is the post I did for the blog swap over at Somewhat Simple. We have a huge problem over at our house. Our dishtowels are always ending up on the floor and it is enough to drive a girl crazy! I have solved our problem by making these awesome hanging dishtowels. They would make great family, friend, neighbor, or co-worker gifts! The first thing you are going to do is baste across your dishtowel. 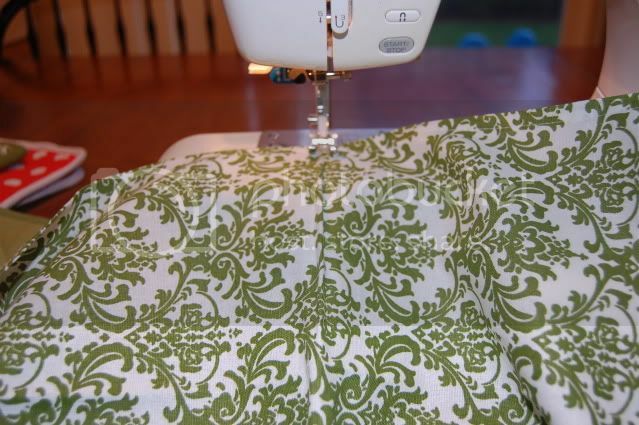 Pull on both threads out of your machine making a long tail of thread. 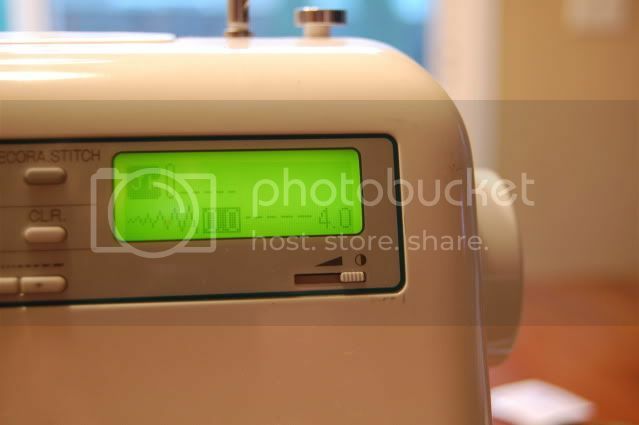 Then set your machine to a "0" stitch width and a "4'' stitch length. Sew across you dishtowel right down the middle. When you are done sewing do not cut your thread! 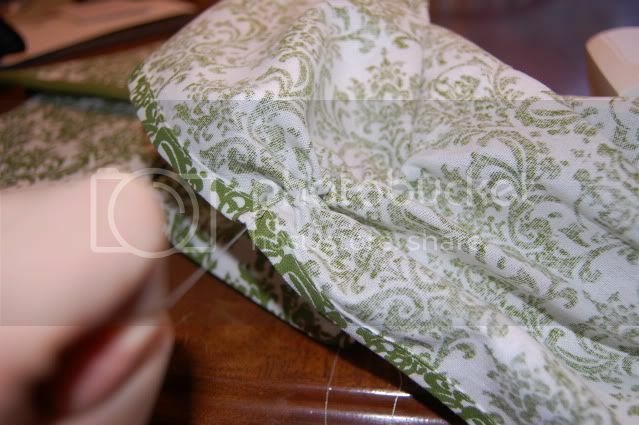 Lift your presser foot and pull your dishtowel out making another long tail of thread and then cut. 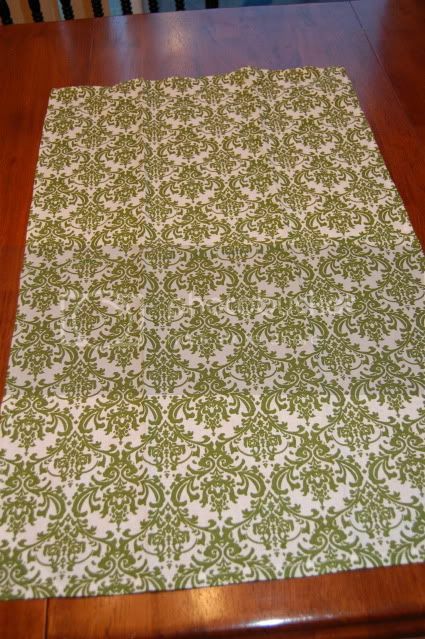 Grab a hold of one thread while gathering your dishtowel until it is all gathered and the same width as your potholder. 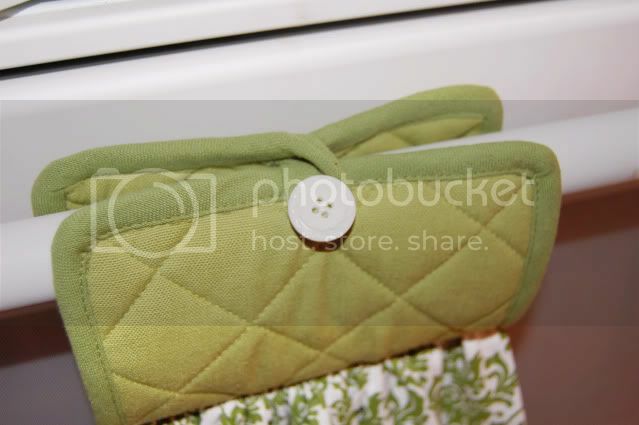 Pin your potholder to your dishtowel. 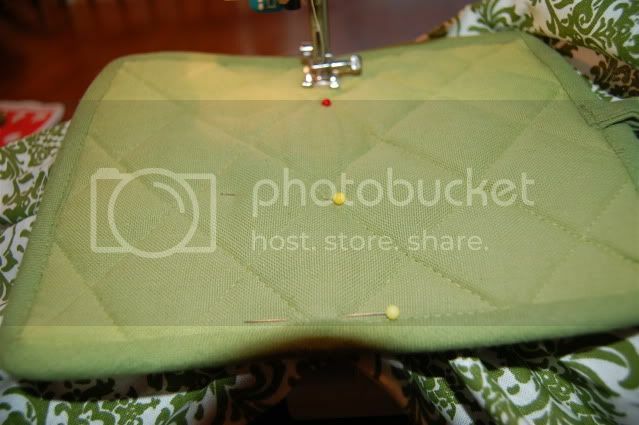 Then sew across your potholder right down the middle. Make sure to switch your stitch length back to "2.5" so you aren't basting anymore. 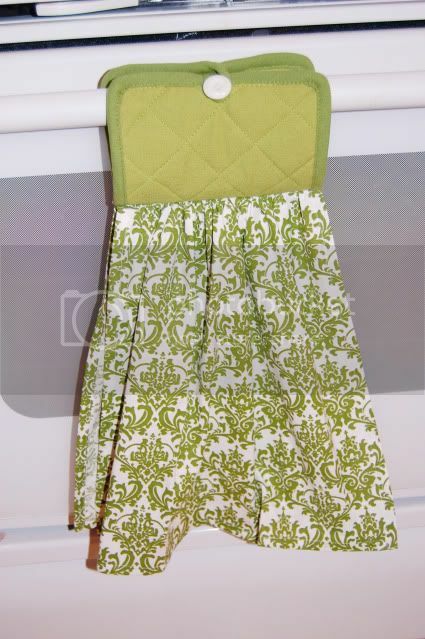 Take the bottom of your potholder and bring it up to meet the top. 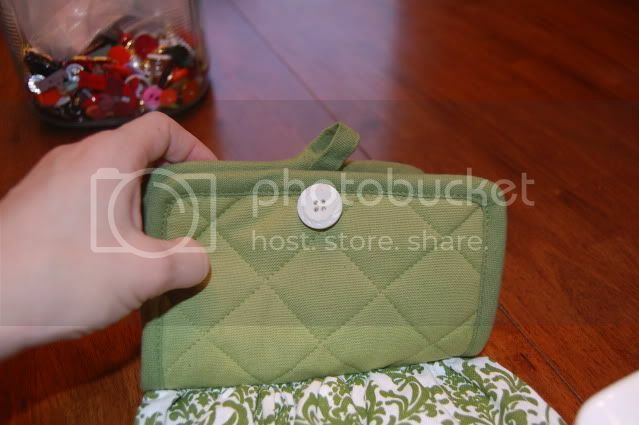 The last step is to sew a button to the front of your potholder. How cute would it be to make a few of these in coordinating color, tie a cute ribbon around them, and give them as a gift in a set!? Cute towel! I love the color. so cute! i think even i can make these! I love these dishtowels! My mom makes a crochet one and I can't get enough of them. I'm gonna feature this tutorial over at my blog, if you don't mind...love it! I seem to be having that same problem lately....what a perfect idea! I love it! I am going to make tons of these for christmas! HAPPY BIRTHDAY! I hope you had a great one and that we'll get to hear about it! 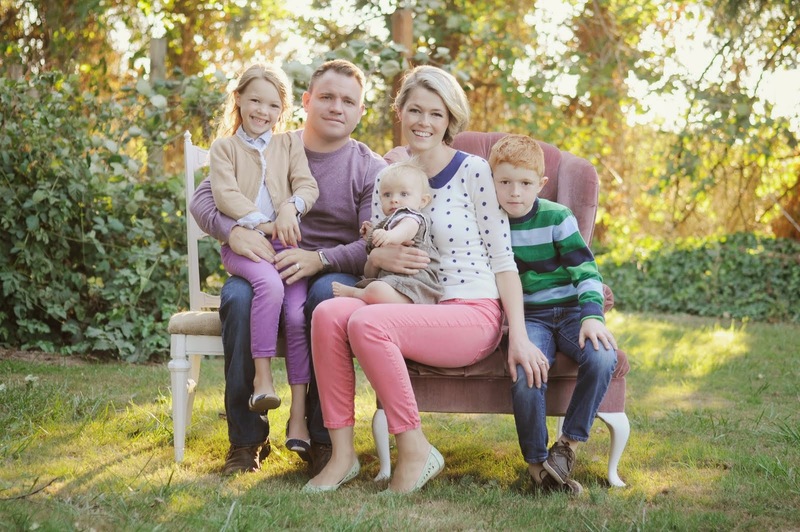 Thank you so much for blogging...it has been so fun to keep up on your family and to benefit from your crafting skills! I hope one day we'll get to live close again! Love ya tons! love your blog! you are so cute! and just wanted to let you know I made five of these wonderful towels from your tutorial yesterday (all 5 in like 15 minutes)and I need to get more towels and potholders because I, too think these would be so cute as little a little gift set! thank you so much for sharing! Thank you so much! I always have this problem! I love this! I'm not great at sewing but I think even I can handle this...I think a set of these with some coordinating dish rags and maybe even a little throw rug would make an awesome gift! Great idea! Where did you get the towel/potholder? I want them! I got the towel at ross dress for less and the potholder at target. Oh my gosh. this is genius! My little guy is ALWAYS ripping ours off the stove. Thanks so much!!! I am ridiculously in love with this project -- now I'll be on the hunt for cute towels, because the dish towels on the floor thing drives me crazy, too! Great idea! Thanks for showing! HOLY COW! That has got to be the coolest, EASIEST gift yet! Thanks so much for sharing! 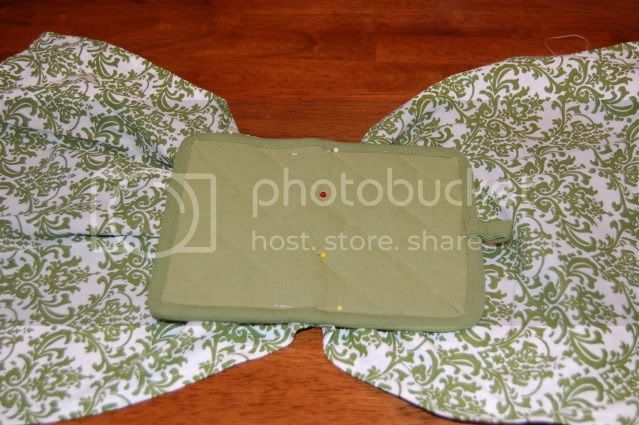 LOVE the idea.... your so full of great tips and crafts. Keep em' coming. Hi! I found you via oneprettything. I just love this idea, and am planning on getting supplies asap. I am so thrilled with it, I also linked to it on my blog. Thanks! Words can explain how much I love this! I told my honey to keep the dishtowel hanging up and he said I'll forever be hanging it back up. Not anymore!! Hahah!! Hello - just found your blog. Wonderful crafts!!!! My mother sent me two of these kitchen towels for Christmas. She had bought them at a craft fair and the lady that sewed them used bath towels (instead of kitchen towels). They are so thick and work great. Just thought I'd share that tip - use bath towels if you want them thicker. Oh sweet! I am a little behind at checking your blog, but I'm glad I came to check. My grandma also does the crochet ones as someone else mentioned so this post makes me think of her. But, I can make this one myself. Hooray! SUCH a good idea and so much easier than the ones I used to make. I will definitely keep this on my list of great gifts that are easy/cheap to do! Thank you very much for the tutorial! It was wonderful. I made my so quickly. I have never done anything like this, where I pull on the threads to make it scrunch up. What a great new thing to learn! It just so happens are kitchen towels are the same colors too! I linked back to your blog, where I showcased the one I made! Thanks again!! Hey that's such a clever idea. 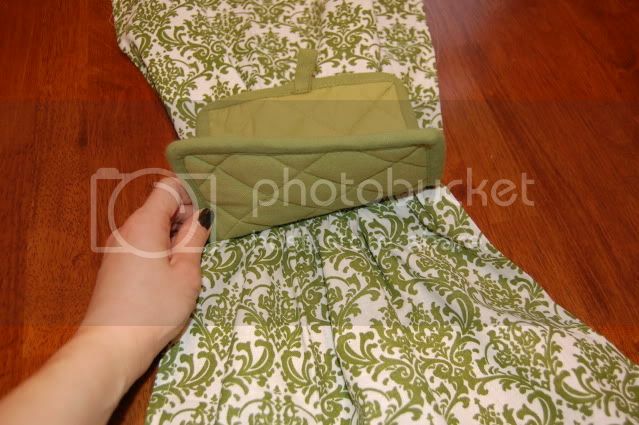 I'd like to have a sewing machine in order to make one of those for my wife. Maybe I will stop buying viagra online for a month and buy one. 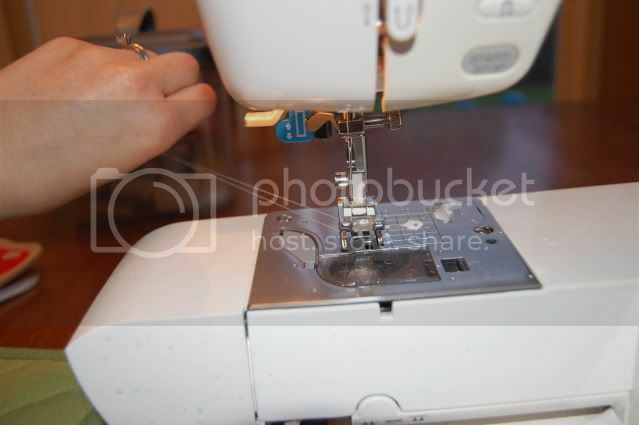 How much would I have to pay for a sewing machine, by the way? Hi nice idea given... going to try it ..... & cool color!!! You are genius..You really have art and magic in your hand..Its looking sooo beautiful..Thanks for sharing your idea..
You are cool.. nice creation.. keep it up... keep sharing the information on making such stuff... thank you..
Hey thats a wonderful creativity you have shown in this blog.. i like the pic... i work on cyclosporine , it a interesting work too but not creative at all.. I linked back to your blog, where I showcased the one I made! Thanks again!! In all honesty – Generic Toprol 100mg do quite a few of these things – just a bit differently at times maybe. I engage a heck of a lot – but they’re not always new people – although they are at times. Generic Ultracet do a lot of thanking (at least more than 10 a day) – especially for RT’s and comments – whether to new folks or to ones I already know. Doesn’t matter – a thank you to anyone that’s done something nice for you is well worth it. 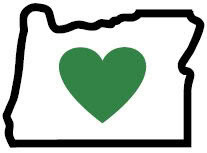 But then again – you already know how I feel about that right ? Of all the tutorials on pot holders, yours is the easiest to understand, thank you so much!